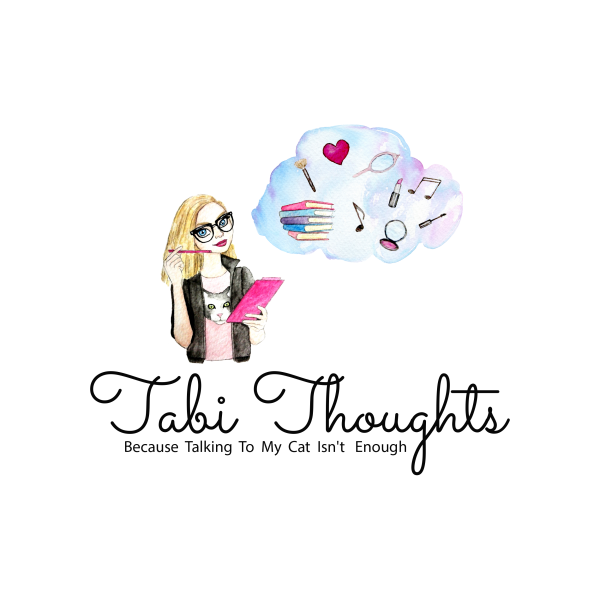 Hello and welcome back to Tabi Thoughts! As some of you may know, I recently took a trip to Las Vegas. This trip was a big deal to me for several reasons; it was my first adult vacation, my first family vacation in over a decade, and my first time flying EVER. With that being said, there was a mix of nervousness and excitement prior to this trip. However, it was overall a great trip! Flying wasn’t nearly as bad as I expected. As for Vegas, it was a lot of fun. Almost too much fun! I ended up walking at least 5-10 miles a day just from exploring all the fun on the Las Vegas Strip. Despite the exhaustion, my family and I managed to have 4 fun-filled days in Vegas. Here are some highlights from my trip featuring 7 must-see Vegas attractions. If there’s one thing you see during a trip to Vegas, it’s the Fountains of Bellagio! The Bellagio fountains are brightly lit dancing fountains set to music. The stunning sight is found in front of the luxurious Bellagio resort. The show times vary, but they typically occur every half hour throughout the day. During my visit to Vegas, I witnessed a fountain show that was choreographed to the famous Italian song Con Te Partiro (Time to Say Goodbye) by Andrea Bocelli & Sarah Brightman. The song combined with the perfectly choreographed fountains was enough to give me goosebumps! Click here to see a video of it on my Facebook. The Hoover Dam wasn’t at the top of my list of what to see while in Vegas. However, I’m glad my family and I made the trip there! While I wasn’t initially too hyped about it, I am impressed with all the historical context behind the Dam. It’s a man-made dam that creates enough power for 1.3 million people in the states of Nevada, Arizona, and California. If you ask me, that’s pretty ‘dam’ impressive! The Hoover Dam is a monument to American history, so if you catch yourself in Vegas, you should give it a visit if only just to say you did! Prior to my Vegas vacation, I asked around to find out a few places I MUST see while on the trip. Everyone I talked to insisted I go to Freemont Street. Though they specified to go at night to see all the lights, I, unfortunately, was only able to make a trip there during the day. However, I still had fun! Freemont street gives you a glimpse into what is known as “old Vegas”. It’s considered old Vegas because it’s rough around the edges. Personally, I found it charming. And… it’s much cheaper than the Las Vegas strip! I was able to buy several souvenirs for myself and others because the gift shops were fairly priced. There’s also lots of free entertainment by street performers. Just from spending a couple hours there, I was entertained by a British ventriloquist. and a lousy (but funny) magician. Day or night, Freemont street offers free entertainment to Vegas tourists. Up until recently, there were two Hard Rock Cafes in Vegas. My family and I stopped at the smaller location on Paradise road. The ambiance of the restaurant is incredible! As a music enthusiast, I greatly appreciated all of the music memorabilia as well as the rock and roll soundtrack playing in the restaurant. The food was good as well, but the energy of the place was what really made it special. Sadly, this location officially closed on December 31st. So, if you desire to give the Vegas Hard Rock a visit, you’ll have to visit the location on the Las Vegas strip. The historic Las Vegas sign is a fun stop. There is a photographer there who will offer to take your picture in front of the sign for $5 or for free on your camera phone. My family and I opted for the free photos on our phone and they didn’t turn out too bad! I’d recommend going early in the day (before noon) so you don’t have to deal with lines. But either way, a little waiting is worth having a special memory of your Vegas trip. While it’s true that many of these replicas of monuments are great attractions used to bring tourists to Las Vegas casinos, there are other reasons they should be appreciated. If you’re a fan of architecture, you’re guaranteed to be impressed with the many sights Vegas has to offer… including the Luxor Pyramid! For instance, there are over 4000 rooms at the Luxor which includes 442 rooms within the interior walls of the pyramid itself. The Luxor Pyramid sky beam is also reportedly the strongest beam of light in the world. Though it isn’t the real deal, it’s still pretty remarkable…and the Vegas replica of the Egyptian Pyramid may be as close as some people will ever get to seeing the real thing. This last attraction I’m a bit biased about. I think it’s great because I think Coke is great… so if you aren’t a fan of coke, you probably won’t appreciate the Coca-Cola Store as much as I do. But because I LOVE coke, I absolutely loved it! The outside of the store is captivating due to the brightly lit coca-cola bottle elevator. The elevator actually takes visitors to the Outback Steakhouse(not the coca-cola store), but it’s still fun to ride in. The store is on the lower level and features a large collection of Coca-Cola products. They have everything from diamond jewelry, furniture, to mini fridges. I’m surprised I walked out of there with one item! If you’re a Coke fan, the Coca-Cola Store is well worth a visit! So, there you have it! These are my top seven favorite stops during my trip to Vegas. My advice to anyone who plans on making a trip to Vegas is to plan it out! Since Vegas is a bit difficult to commute in, you might consider finding a place to stay on the strip that’s near Vegas’ most popular attractions. You can visit AllTheRooms to find the best vacation rentals in Vegas. It’s also important to have a general idea of what you want to see because there’s just sooo much to see! You’ll never see it all in one visit, but that’s just one reason that keeps folks coming back to the famous sin city.